Travel to exotic lands on Durham real estate and fall in love with lemurs. Tours at the Duke Lemur Center located at 3705 Erwin Road allow visitors to get up close and personal. With roots dating back into the 1960’s, over 75 acres are dedicated to these wily, charismatic creatures. 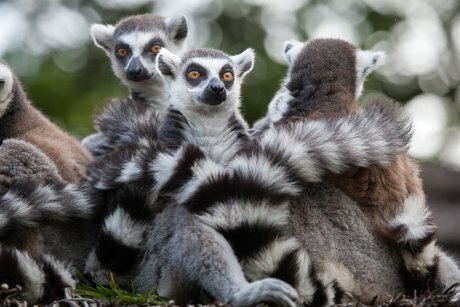 Hailing far from Durham property, lemurs are native species only to Madagascar. Boasting the largest collection of the animals outside their homeland, the center fulfills a mission of conservation and education. Tours trek folks around the grounds. Public and private options are available to scratch the surface of the facility or delve in deep. Four separate general tours offer insight into the beloved little creatures, their habits and their habitats. The Lemur Live Tour teaches all about nine key species and how to care for them. Quite affordable this tour is offered at only $12 per person. An Enrichment tour showcases the efforts made by animal keepers to keep lemurs interested and alert. A variety of toys and tools stimulate their natural curiosity. Just for younsters, Little Lemurs is designed just for little ones between the ages of 5 and 8 years old. Knowing that children are the future the lemurs will one day depend on, staff members share their specialness in a language kids can understand. Premium tours provide the ultimate experience. Meander through the forest habitat with lemurs by your side. Walk the walk while crossing paths with the curious beasts during the Walking with Lemurs Tour. Step into a trainer’s shoes with Lemur Keeper for a Day and Behind the Scenes tours. Photography buffs can spend some time focusing on their wildlife shots. In A Photographer’s Dream shutterbugs trail a staff photographer learning the secrets of capturing the lemurs in action. Art enthusiasts are in heaven when Painting with Lemurs. Reservations are required for all Duke Lemur Center tours. Education is paramount for the survival of lemurs in the wild. Efforts to support understanding of conservation are on going. Special events frequent the calendar on this piece of Durham real estate alongside scout and homeschool programs. Take a look at frequently asked questions here or call 919.401.7240 for additional information. Imagination takes flight on Raleigh real estate at the Read With Me Book and Art Shop. Located in the heart of downtown, this wonderfully creative space supports a love of reading. From floor to ceiling the best and brightest of children’s literature fills the shelves. From picture books to novels, there’s something for any age and level of reader. A love of reading is stimulated here not only by a wide selection of books but by a welcoming space in which to read them. Guests are able to choose a story, find an ideal spot, get cozy and read together. New worlds open up to those immersed in books and time easily wanders away from those in the store. Stories are crafted together wonderfully by authors who have a way of words. It’s often said though that a picture is worth a thousand words, and local illustrators are honored daily in the artist gallery. Special events mark the calendar here. Workshops help build illustratration and writing skills. Summer camps are fun filled and entertaining. Each session has a new and exciting theme keeping kids interested and parents happy. Authors frequently stop in to present their latest endeavor and talk about their inspiration. 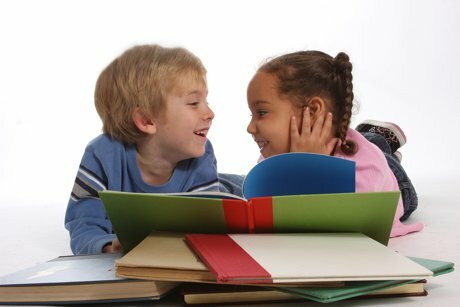 Parents living in the Raleigh area often bring their youngsters in for storytime. Energetic presentators bring favorite tales to life earning giggles and smiles and gasps of delight. Additionally, exposing youth to new horizons, Global Kids Storytime takes place the last Saturday of the month and features books read in languages other than English. Dedicated to the advancement of knowledge, this special place is perfect for getting ahead. Help is readily available for elementary aged students during the school year. Time is designated every Tuesday afternoon for those needing tutoring and homework help. Advanced reservations are required. Friendly faces and helping hands await. Brought to the Raleigh real estate community by a librarian and stay-at-home mom, the Read With Me Book and Art Shop is located at 111 East Hargett Street. Open Monday to Thursday come in ready to read, browse around and pick up a new book or two.